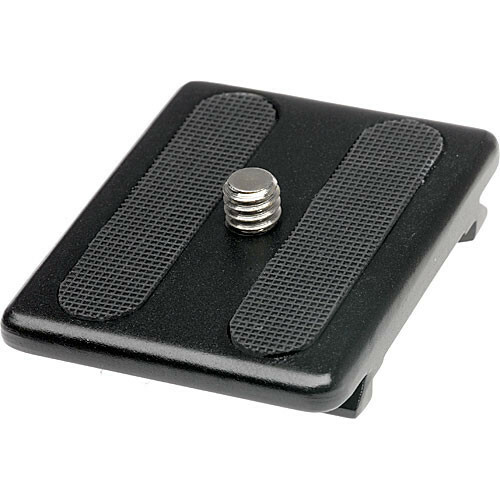 Induro QR-01 Quick Release Plate for DM-Series Heads - 1.6"
This Induro QR-01 Quick Release Plate is for use with the DM-series ballheads. Although this plate will fit into any DM-type head, due to its length, this plate is recommended for use with the smaller DM-01 or DM-12 ballheads. It comes with a 1/4"-20 camera screw, and features rubber non-skid strips. Box Dimensions (LxWxH) 7.0 x 3.5 x 0.4"
QR-01 Quick Release Plate for DM-Series Heads is rated 5.0 out of 5 by 1. Rated 5 out of 5 by Dillard from Mounting Plate Perfection Misplaced original mount, ordered a replacement. This is most expensive 1.6" of metal you can imagine but it fit per perfectly. Planning to WELD it to the bottom of my Canon.